← 26.2 = We did it! I try to support local businesses, as much as possible. I picked this tea up for my husband when I was in Charleston visiting my sister. Actually it is the only tea plantation in North America:) Just a small tidbit. I have had 3 cups since I tried it on Thursday! I add a spoonful of Savannah Bee Company Honey, and its the perfect combination. The tea helped soothe my throat, so I decided to go for a short run. Made it 2 miles and had to stop. The wind was crazy! I decided to head back home and try Mary’s indoor workout! (I got a text from my parents that they were headed to their WeightWatchers meeting, and clearly that was the motivation to make me continue my workout). Hey, whatever it is the root of the motivation, I will take it. Thanks Mary!! And thanks for the video; I ended up having to Google a few more of the exercises. I clearly only know the basics! After showering and relaxing, me and the hubs went to Sam’s! We got a one day pass to see if it would be worth it…..unfortunately, I am not cut out for Sam’s. And I don’t think it is really useful for 2 people. Is it?? I seriously was so thankful to be leaving after an hour of being there. We might try it again in a few months, but we will definitely go in with a plan. 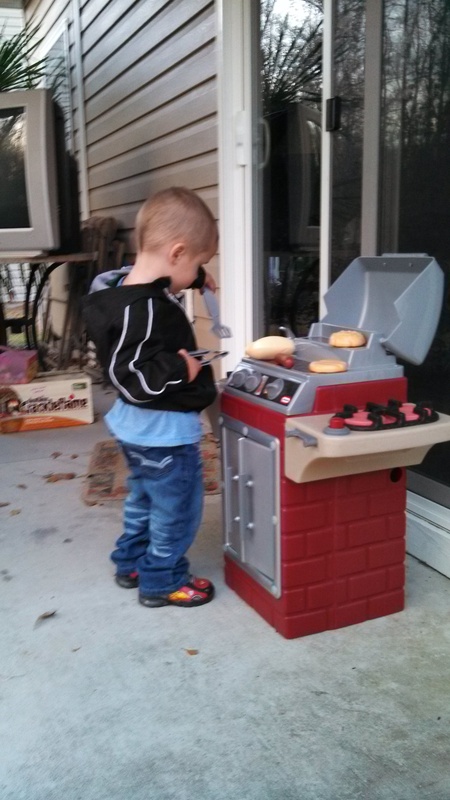 The night ended with a bonfire and this little man grilling out for us. We have a busy few weeks coming up, but thank goodness the weekends are completely free! 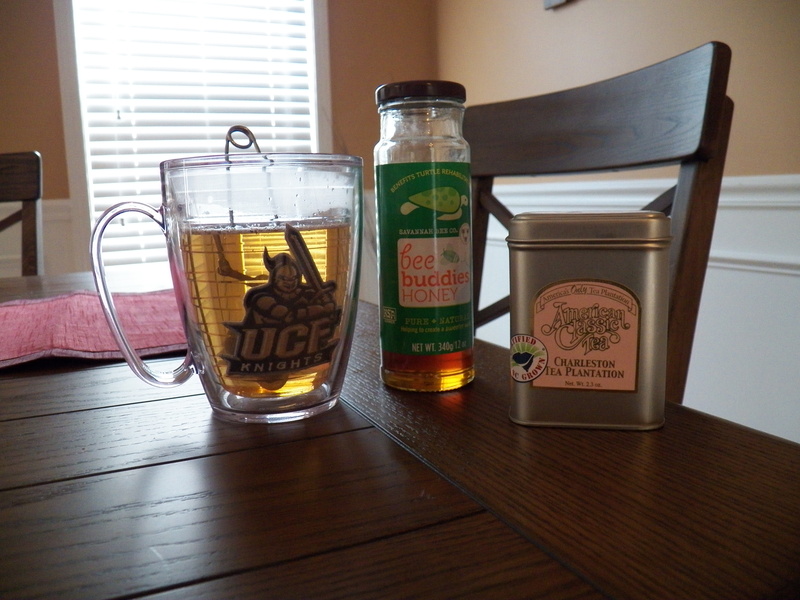 I am glad you are enjoying the Charleston Tea! Every time someone asks me what to do while they are in Charleston I send them there! What is that thing in your tea?